Target mentions antitrust concerns as spurned suitor implies CEO position was a stumbling block. Retailers that compete for back-to-school dollars are now facing intense competition from Amazon and discount stores. American Eagle, Staples, Best Buy and Sears are among those losing market share. 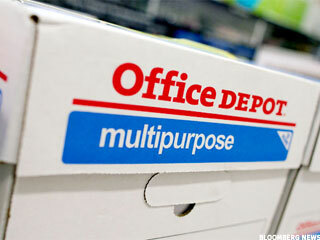 Markets were pleased with Office Depot's CEO pick as shares gained 3.8%. Should you be? After its merger with OfficeMax, Office Depot still faces steep competition and a heavy debt load. 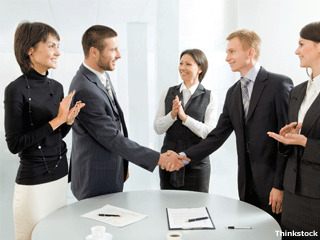 OfficeMax and Office Depot complete their long-awaited merger, though their respective earnings indicate challenges ahead. OfficeMax Incorporated (NYSE: OMX) and Office Depot, Inc. (NYSE: ODP) today announced the U.
OfficeMax (NYSE:OMX) has been upgraded by TheStreet Ratings from a hold to buy. U.S. stock futures rise; JPMorgan enters tentative $13 billion deal with Justice Department; Netflix and McDonald's to report earnings; Microsoft pulls a Windows update. Office Depot seen likely to have cleared all regulatory roadblocks for its pending $1.2 billion acquisition of rival OfficeMax. The most recent short interest data has been released by the NASDAQ for the 08/30/2013 settlement date, which shows a 1,195,905 share decrease in total short interest for OfficeMax Inc , to 8,762,593, a decrease of 12.01% since 08/15/2013. Total short interest is just one way to look at short data; another metric that we here at Dividend Channel find particularly useful is the "days to cover" metric because it considers both the total shares short and the average daily volume of shares traded. Office Depot, Inc. (NYSE:ODP) and OfficeMax Incorporated (NYSE:OMX) today provided an update on the CEO search process for the combined company as part of the overall progress on integration planning. Skanska Group is a 125-year old construction giant that pays healthy dividends. CEO Mike McNally details. The workplace inefficiencies the Dunder Mifflin made famous live on at OfficeMax and Office Depot. The ex-dividend date for OfficeMax (NYSE:OMX) is Monday, May 13, 2013. Owners of shares as of market close today will be eligible for a dividend of 2 cents per share. 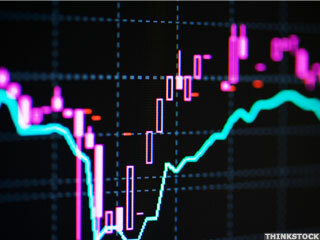 At a price of $11.43 as of 9:30 a.m., the dividend yield is 0.7%.